Discount Fuel Cards vs. Credit Cards – There is a clear winner! You’re company is paying too much for diesel if you are using a credit card instead of a discount fuel. Even if you use the credit card correctly and manage to pay the balance on time to avoid interest payments, you still end up paying too much for fuel. The posted cost of fuel that’s displayed on the big sign in front of the truck stop is a cash price only. The actual price you pay for diesel is much higher if paid for by credit card. When he/she pulls into the truck stop, your driver may think that what he sees posted in big numbers is today’s price per gallon. He would be correct, but only if your company pays cash for the fuel. If you use a credit card, the price is higher! In the U.S. the difference can be as much as 6 cents per gallon. When refueling in Canadian truck stops, the additional cost is generally 1 cent per litre more. One of North America’s largest chain of truck stops posts a current listing of daily fuel prices across all its outlets on its website. Read the disclaimer at the bottom of the website and you’ll see that the prices are listed as the lowest cash price. A 6 cents per gallon premium is tacked on for credit card payments. Almost two-thirds of owner-operators use credit cards for business expenses, according to an industry survey. This includes the purchase of fuel. Many small to mid-size carriers also utilize credit cards due to the convenience and the transaction accountability of the cards. Most company owners are unaware that this convenience is at great expense. The company’s management and accounts payable department normally checks for items on the invoice such as the amount of fuel the truck pumped compared to the distance it traveled. Few managers check to compare the purchased price against the posted cash price and therefore, remain unaware of the additional cost. Take the time to perform a fuel analysis and compare the posted diesel fuel prices to the price you paid. It will become evident that you overpay on each fuel up by using a credit card as your fleet card. A typical tractor/trailer consuming 1,500 gallons per month can spend over $90.00 extra just for the privilege of using a credit card. That adds up to $1,080 per year more. Credit card rebates and points come at an expense! The 1% rebate equals $45.00 in your pocket, but the additional cost of using a credit card is $90.00. What appears to be a great incentive from your credit card company actually costs you more! After a month of purchases, your credit card company rewards you with $45.00 worth of reward points for using their card. Sounds great, but again it costs you an additional $90.00 per month per truck to pay by credit card. Your reward points are in fact costing you money! A Fuel Discount Card is a unique type of fleet card. Used as a payment card for fuel at truck stops it provides discount pricing to the card holder. Because it is in effect a debit card, you pay only the posted cash price when using a Fuel Discount card. More importantly, because it is a discount card the user receives an additional rebate off the posted cash price. By using a Fuel Discount card you now receive the Cash Price plus an additional discount. That adds up to huge savings at the end of each month! Fleet cards provide convenient and comprehensive reporting on each transaction. Your company will receive real time reports to help prepare for fuel tax reporting and set purchase controls. This valuable accounting information helps your company stay informed of all business related expenses. Only a select few suppliers carry all the benefits of a quality Discount Fuel Card. Be selective when choosing the right discount fuel card for your trucking company. Accutrac Capital, an invoice factoring company, in partnership with Truck Loan Center, provides the ideal fleet card solution to trucking companies of all sizes. Our Discount Fuel Card provides a distinctive value add that separates our cost saving program from most other cards; the ability to withdraw cash advances. While on the road, your drivers are able to conveniently access ready cash from convenient locations across North America. Your driver pool now has the ability to safely manage cash for over the road expenses while your company’s accounting department tracks, monitors and controls each withdrawal. Your company’s money management and the spending habits of your drivers will have a large impact on the success of your trucking company. 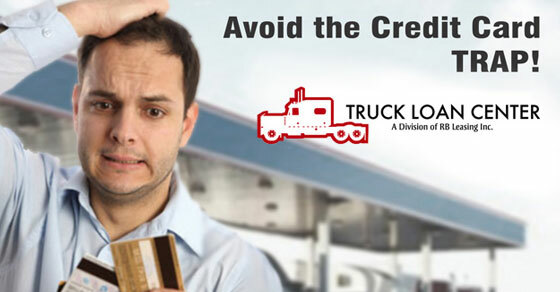 Depending on how they are used, credit cards may at times serve as a lifeline for your trucking company. However, they often become a financial drain that weaken your company’s financial status. Use of our Discount Fuel Card will return huge savings on the cost of fuel. In addition, our Discount Fuel Card provides easy accountability and allows for cash advances to accommodate extra over the road expenses.